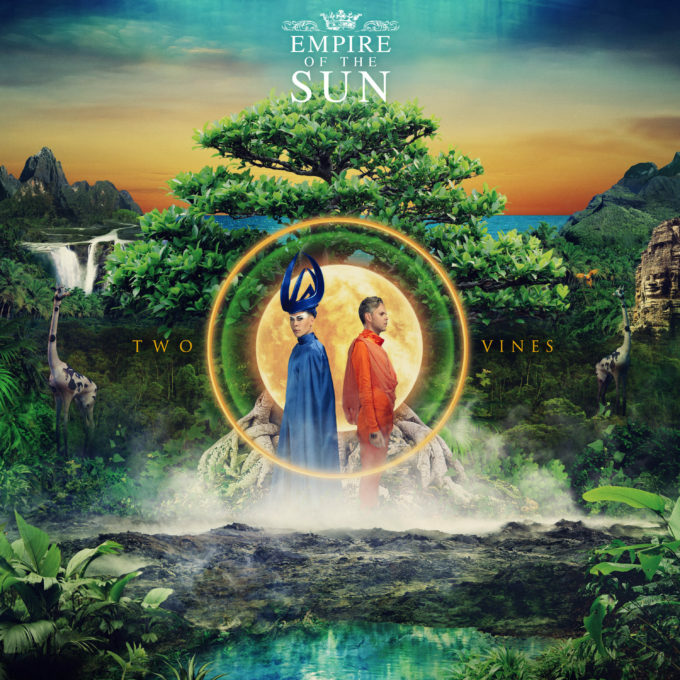 It’s time to return to the Empire… the Empire Of The Sun; Luke Steele and Nicholas (nee Nick) Littlemore teaming up for the acclaimed Aussie outfit’s third long player, announced this afternoon. Due at the end of October, ‘Two Vines’ follows on from the duo’s critically acclaimed debut album ‘Walking On A Dream’ and its beloved follow-up ‘Ice On The Dune’, both of which delivered the band top ten success here in Australia (the former a double platinum accreditation to boot). The ‘Two Vines’ campaign has already kicked off too; lead single ‘Two Vines’ will get its first play on Triple J tomorrow, while album track ‘High & Low’ is already out in the ether. Both tracks are available when pre-ordering the album. As to how the title came about, Nicholas explains. “There was an image we talked about very early on with this record, before we wrote the title track and that was this image of a modern city overtaken by jungle, almost like mother nature taking back the planet,” he says. The album will land in 11 track standard and 14 track deluxe editions (tracklisting below) on Friday October 28.